The Hunter Valley is Australia's oldest wine region and is only a couple of hours from Sydney. This makes it the perfect location for wine and food lovers from all ends of the globe to enjoy the Hunter Valley Wine Tour. Our Hunter Valley Tours offer a diverse itinerary, allowing you to taste some of the regions most delicious produce. All this, set in the rolling green hills of the Hunter Valley. Experience this beautiful region of New South Wales with us. 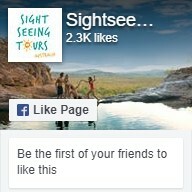 Book your Hunter Valley Tour with today. There are plenty of ways to indulge your taste buds while visiting the Hunter Valley on our Hunter Valley Wine, Vodka and Foodie experience! This unique exploration will take you to the rugged valleys of the Hunter Valley to taste some of the popular wines at variety of cellars and tingle your taste buds at the local Chocolate Factory. Experience this beautiful region of New South Wales with us. Book your Hunter Valley Wine, Vodka and Foodie experience with us today! If you are hosting a group of friends or work colleagues than our Hunter Valley Wine Tours could be exactly what you are looking for. Whether it is a work Christmas Party, Hens Day, Birthday or just a day out with your friends, why not make it a day to remember with a Private Hunter Valley Tour. By organising your groups very own Hunter Valley Wine Tour you will be provided with a host of options that suit all budgets and interests. So whether your group is made up of swirling, slurping wine experts or just a bunch of friends looking for a day out, our Hunter Valley Tours are for you. The Hunter Valley is Australia's oldest wine region. Located two hours north of Sydney, the region is surrounded by stunning towns and villages, rolling vineyards and olive groves, as well as breathtaking national parks. Here at the Hunter Valley, you will be treated to a variety of the worlds best wines, as well as a range of vodka tastings including Chilli, Lime, and even Chocolate! Our Hunter Valley Winery Tour from Hunter Valley follows an itinerary which enables both wine tastings at three boutique wineries, as well as creamy brie, sumptous fettas, and other homemade produce tastings at the Smelly Cheese Shop. Join us, and experience the stunning region of New South Wales, whilst enjoying some of the worlds finest wines. Book your Hunter Valley Winery Tour from Hunter Valley today! Millions of visitors flock to Sydney each year to enjoy the magnificent views from the bay. Known for its beautiful Harbour, iconic Harbour Bridge and globally recognised Opera House, Sydney has many top tourist attractions to offer. Our range of Sydney city tours and tours of surrounding areas, lookouts and beaches give visitors a glimpse into Sydney life, while offering first class service at the very best price. Packages including spectacular Sydney Harbour Luncheon Cruises offer fully inclusive tours to suit all ages and types. Check out our range of Sydney Tours on our website today and start booking your holiday now! The Blue Mountains provide a magical experience a are located only a little over an hour away from Sydney. Famous for its amazing rock formation of the Three Sisters, it is truely a spiritual place and certainly worth a visit whilst in Sydney. Offering a variety of Blue Mountains Tours, ranging from one - three day tours, we have something for everyone. Enjoy peaceful walking trails that wind through pristine Australian rain forest, see native Australian animals in their natural habitat and view magnificent waterfalls. For the more adventurous travellers we travel through the mountains and into the caves with tours of Australia's most spectacular underground limestone caves - Jenolan Caves. With tours starting at $89, the Blue Mountains is a wonderous place to visit at great value for money.